We often discover that patients are vaguely familiar with the purpose of a dental crown. They are usually aware that a crown is an artificial, hollow tooth that we use to cover a problem tooth. However, when it comes to the surprisingly lengthy list of benefits and uses associated with restorative care, many patients simply haven’t been enlightened just yet! Do you know whether you’re a master of crown information or if you just know the bare minimum? 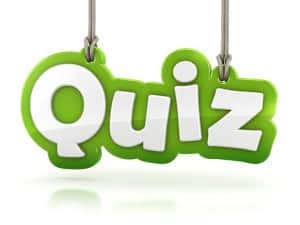 Find out (and learn a little more) by taking a brief quiz. True or False: A dental crown is only used to cover a tooth that is damaged or that has just received root canal treatment. True or False: Dental crowns are only restorative in nature. We will not suggest them if you are in need of cosmetic improvement – you will need to receive porcelain veneers for significant change. True or False: Receiving your dental crown will typically take just a couple of visits. False. A crown does perform these functions. However, it can also assist in supporting a dental bridge or restoring a dental implant. False. While veneers offer a dramatic transformation, sometimes patients suffer from cosmetic damage too severe for them. Or, they require both cosmetic and restorative care for the same tooth or teeth. In these cases, zirconia or porcelain crowns offer an impressive cosmetic finish. True. We need to gather the dimensions of your smile, plan your treatment, and place a temporary crown during your first visit. Then, we will typically place the permanent crown during your follow-up.